Jacob Smith. Knight Templar. Gunslinger. Jacob, an ex-Union Bushwhacker, is a member of the Knights Templar, a secretive order dedicated to protecting mankind from demons, the supernatural, and whatever else happens to need killing. He and his brother knights aim to protect post-Civil War America at all costs. Follow Jacob through three short stories and a full-length novella. Join Jacob Smith and his mentor Henry Bennett in their quest to retrieve the Necronomicon from deep within the East Tennessean woods. Can they succeed in their mission before ex-Confederate DuBose and his inbred army of indentured mutants use it to summon an unspeakable evil? The life of Jacob Smith continues. After finally returning to Chicago, Smith rejoins the rest of the Order. But little does he know, he will soon have to fight for his own place within the Templars, and be re-born in the process. Jacob Smith rides again, partnered this time with Christopher Freeman. The two Templars make their way south to Arkansas, only to be diverted by rampant racism and an ominous force that still lingers after the War of Rebellion. 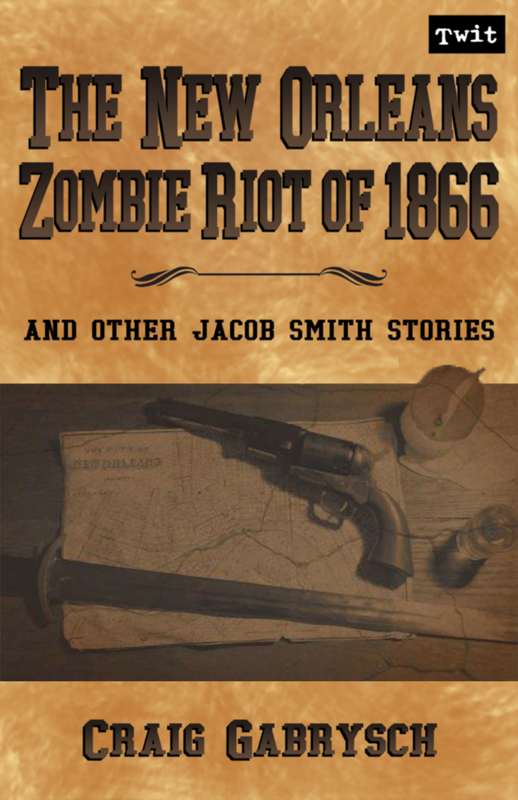 On the eve of the Louisiana Constitutional Convention, Jacob Smith and his cohort Christopher Freeman have been sent to New Orleans to meet their contact in the Pinkerton Detective Agency and collect a dangerous Voodoo artifact that inflicts “zombie-ism” on whomever it scratches. But, when a ruthless group of ex-Confederate soldiers ambush them and steal the relic, the two Knights Templar must join forces with Agent Charlotte Gibson to stop what could quite possibly be the worst outbreak of “yellow fever” New Orleans has ever seen. With the city quarantined, the Catholic Church begging for help exorcising demons, and hordes of Afflicted roaming the streets, Jacob, Christopher, and Charlotte have their work cut out for them.